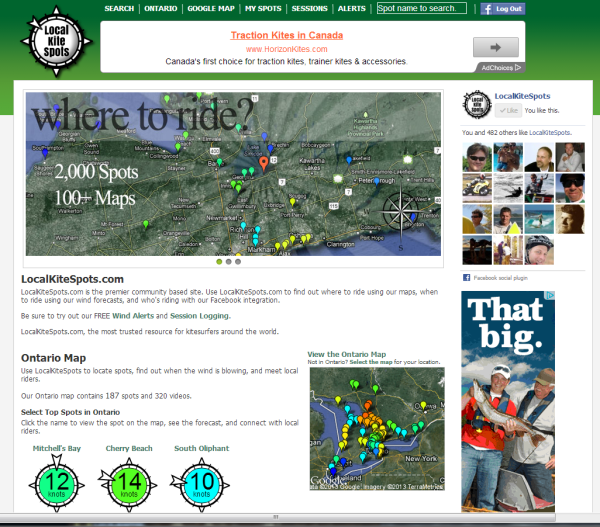 LocalKiteSpots.com allows kite surfers to quickly find information on local riding spots. Through a partnership with Environment Canada, we provide current and 6 day wind forecast data for nearly 1,500 spots around the globe. Integration with Facebook, allowing riders to identify their spots, and connect with riders at new spots.